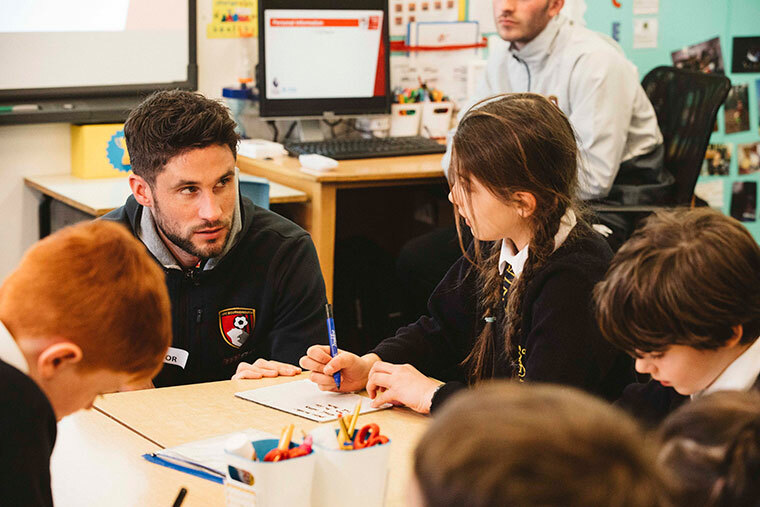 AFC Bournemouth player Andrew Surman coached schoolchildren on the importance of staying safe online on global Safer Internet Day on 6 February. 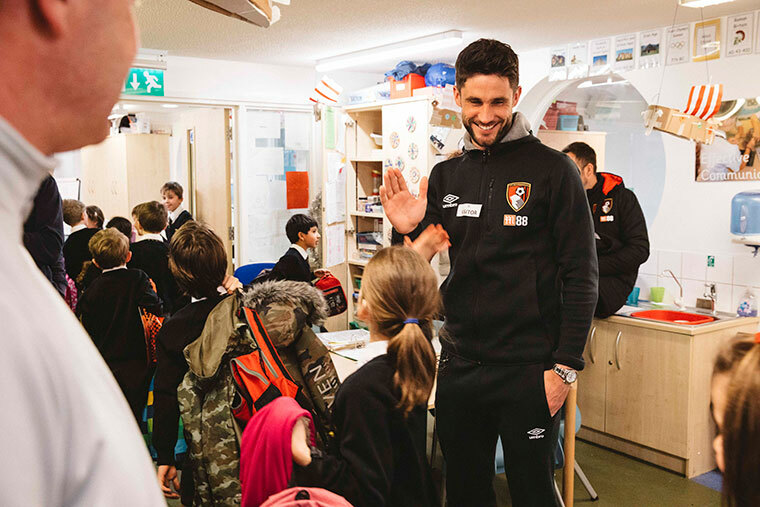 Midfielder Andrew Surman visited St Katharine’s School in Southbourne on 6 February, with AFC Bournemouth’s charitable Community Sports Trust (CST). The CST works with 4,000 people each week, from schoolchildren to the over 50s, on projects ranging from healthy living to road safety. Each project has a Cherries first team player as its ambassador, to act as a role model and deliver its key messages. The St Katherine’s pupils took part in the CST’s popular Connect with Care initiative, which highlights potential dangers when using the internet on computers, smart phones and tablets. AFC Bournemouth’s head of community, Steve Cuss, said, “The children were extremely well-engaged and showed a real maturity when discussing the issues surrounding internet safety. Connect with Care is sponsored by IT Support Business (ITSB) Ltd, which is based in Bournemouth and London. The IT support and security specialist became an official partner of AFCB’s Community Sports Trust half way into the 2016/17 season and is continuing the relationship through the current season. He added, “Despite having personally attended many Connect with Care lessons, it’s still fantastic to see the reaction and awareness that is created.